Airgineers is a STEM challenge for secondary school aged students who will need to design, build and learn to fly their own radio controlled quadcopter, often referred to as a drone. On their quest to become Airgineers UK Champions, teams will compete in two different classes, Micro and 3S. The term drone usually refers to an unmanned aircraft, more formally called a UAV or Unmanned Aerial Vehicle. 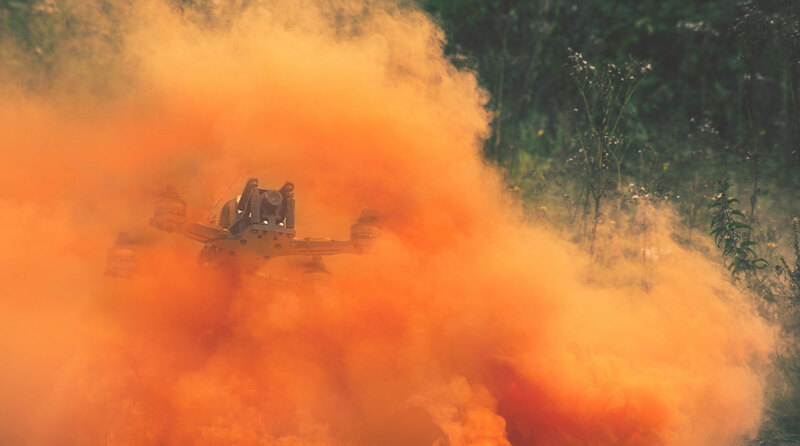 The term is also often used to describe radio controlled quadcopters which are multirotor helicopters that are lifted and moved by four rotors or propellers. The direction and speed in which the quadcopter moves is controlled by the speed of rotation of each of the four propellers. They are extremely manoeuvrable and can be extremely stable in flight. Many drones of this nature have a high level of autonomous operation including the ability to take-off, navigate and land without any user inputs. However, whilst racing drones as used in the Airgineers competition have a lot of on-board processing power to manage the flight characteristics, they have very little autonomy and rely much more on the skill of the pilot to operate them. 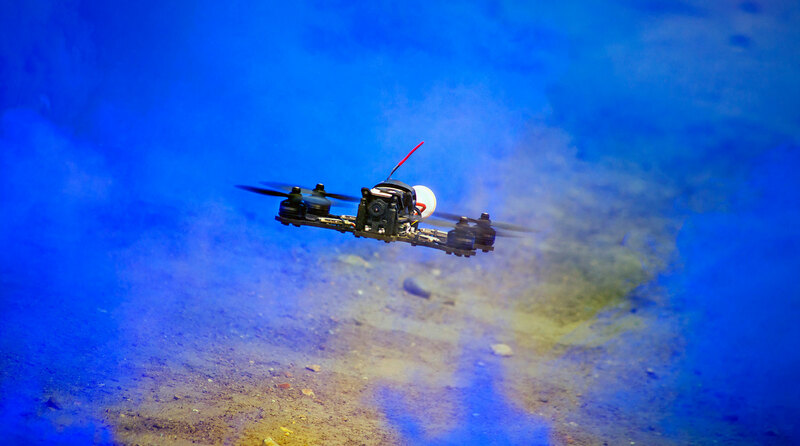 Micro-Drones are just about the easiest way to learn how to build and fly a radio controlled multirotor. Teams will need to design and build an efficient and manoeuvrable micro-sized flying machine that will compete in team games, individual challenges and time trials. And just in case making your own drone wasn’t amazing enough, you’ll experience all the action from First Person View or FPV via a tiny camera mounted on the drone itself. Because Micro-Drones are so small, students can use a number of manufacturing techniques to build their vehicle – 3D printing, laser cutting and CNC milling are all excellent examples of suitable types of CAM techniques that could be employed. Their small size also makes them extremely safe to operate indoors. The 3S is a fast, intense experience that pushes the skills of the pilots and team to the absolute limit. This class uses larger and faster racing drones than the Micro Class and it’s all about speed - pilots must navigate through a course of gates in the fastest possible time. Above everything else, the 3S Class is designed to be fun. Flips, rolls and high speed manoeuvres are what Airgineers 3S is all about and the pilots will experience it all from First Person View or FPV. 2017/18 is the first season that the Airgineers competition has been run. Because this is the inaugural year, there will not be any registration fees to take part in the competition for this season. In future years, there will be a small cost to enter which will go towards the continual improvement of the infrastructure that surrounds the event including gates and courses, resources, videos, improvements to the event software etc. Events and event registration process will be listed here. The exact dates locations of events will be confirmed at a later date but these will take place in the summer term when the weather gives us the best chance of running the 3S Class events outside. Each event will run both Micro Class and 3S events over the course of the day. Keep checking back here or follow us on Twitter @airgineers to keep up to date with events. We'll also send out a regular newsletter to all registered teams to keep you informed. Interested in hosting an Airgineers event? If you are interested in hosting an event at your school or facility, we'd be delighted to hear from you. There are some basic requirements to be a host – we'll need access to a sports field or similar open grassy space for the 3S Class and a hall or large classroom for the Micro Class. Keep in mind that these areas will need to be out of bounds to other people whilst the competition is taking place. Events can be run on weekdays or Saturdays, term-time or during holidays. Because of the strict rules surrounding drone use, the Airgineers team will need to assess potential sites for suitability prior to the event. Autodesk makes software for people who make things. Whether it be in education or designing high-performance cars, towering skyscrapers, smartphones or films, the chances are you’ve experienced what millions of Autodesk customers are doing with our software. FPV Freerider is a low-cost FPV drone simulator that is perfect for getting plenty of flying practice in. You can use the FlySky FS-i6S transmitter as a USB controller so it’s just like flying your real drone. Open source software for configuring multirotor aircraft. Betaflight is compatible with the Airgineers 3S and Micro Drone flight controllers as well as almost every other flight controller on the market. Betaflight is an extension for Google Chrome so requires Chrome to be installed first. CleanFlight is nearly identical to BetaFlight. As it’s name implies, BetaFlight was originally an experimental platform for new ideas not yet implemented in CleanFlight. In many cases, the two pieces of software are cross compatible. However, some firmware versions of the BeeCore used on Airgineers Micro Drones only work with CleanFlight. The process of configuration is identical to BetaFlight, so our BetaFlight-based configuration videos can be followed for CleanFlight as well. BLHeli Configurator is required for setting up the electronic speed controllers on the Tyrant 3S Class drone. Like Betaflight, it is an extension for Google Chrome. The BMFA is the National Governing Body for the sport of model flying. 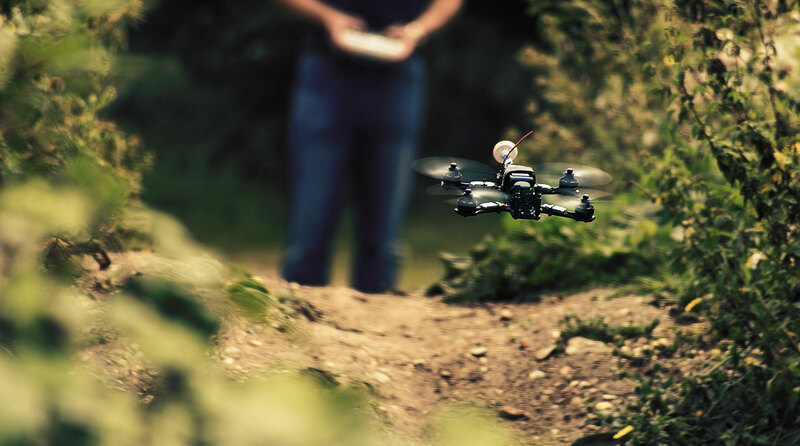 Its aims are to promote, protect, organise and encourage model flying within the UK. The Rotor Rush initiative links all the key elements of drone sports to promote a community in which all participants, regardless of their level, work together for the benefit of the whole sport. From the young person who has learnt to fly drones at school through Rotor Rush Academy and now wants to join their local race organisation or chapter, to the professional pilot who wants to pass on their skills to others, to the pro-gamer competing in Rotor Rush Esports who wants to go on to race real drones at real events. By linking and supporting these key elements we create a stronger more unified sport for all to enjoy. CLEAPSS has been working with schools for over 50 years to help facilitate the safe use of practical activities. If you require any advice on the safe use of any aspect of the Airgineers competition, contact CLEAPSS. Kapture8 is an online portfolio and assessment tool that is used in education, CPD and training to record, assess and share evidence based learning. You can use Kapture8 to record, assess and share your learning journey whilst taking part in Airgineers. By entering your email address you are consenting for your data to be used by Rapid Electronics Ltd for marketing purposes. You will be emailed newsletters, special offers and promotions. Some of this marketing may be personalised, based on your interaction with the Rapid website or products you have purchased. You may unsubscribe at any time by clicking the unsubscribe link on the footer of every email and request for your data to be erased at any time.